Last week apples were on sale for a dollar a pound. I’ve been dying to make apple butter so I bought 10 pounds of apples. 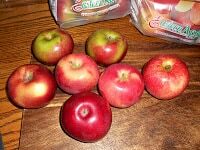 I bought a combination of Gala apples and McIntosh apples. When I got home and read my recipe I realized I only needed 4 pounds of apples for the apple butter. I started looking through my canning book and found that the cranberry apple butter needed 6 pounds which was exactly how many pounds I had left. I was skeptical about how thick the cranberry apple butter would get because of the large amount of juice in it. 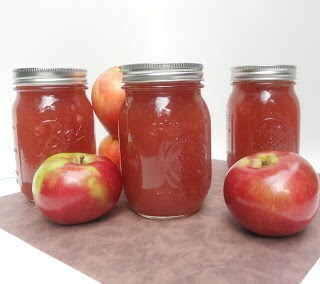 The color of the apple butter was a beautiful, rich pink. 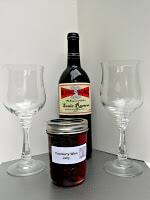 The cranberry apple butter was both tart and sweet and had district flavors of both apples and cranberries. It was a bit on the thin side but was still thick enough to spread on toast or crackers. 1. Wash the apples. Core, peel, and slice the apples. 2. Combine the apples and cranberry juice cocktail in a large saucepan over medium high heat. Simmer until the apples are soft. 3. Pour into a food processor and puree until smooth but not liquified. 4. 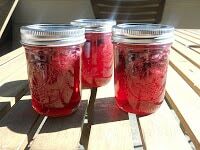 Prepare a boiling water canner and 3 pint jars. 5. 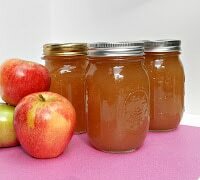 Combine the apple pulp, sugar, cinnamon, and nutmeg in a large saucepan over medium heat. Cook slowly until thick enough to round up on a spoon. Stir frequently to prevent sticking. 6. Ladle the hot butter into hot jars leaving 1/4 inch of headspace. Remove air bubbles and readjust headspace. 7. Put on the 2 piece lid and screw to finger tip tight. Heat in a boiling water canner for 10 minutes with the lid on. Remove from heat and let sit for 5 minutes. Remove from the water and let cool for 12 hours then check to make sure the lids have sealed. Store for up to 1 year. Any recommendations on measurements if I just wanted to make some of this? I don’t have the patience to can or jar stuff, but a small container would be great! 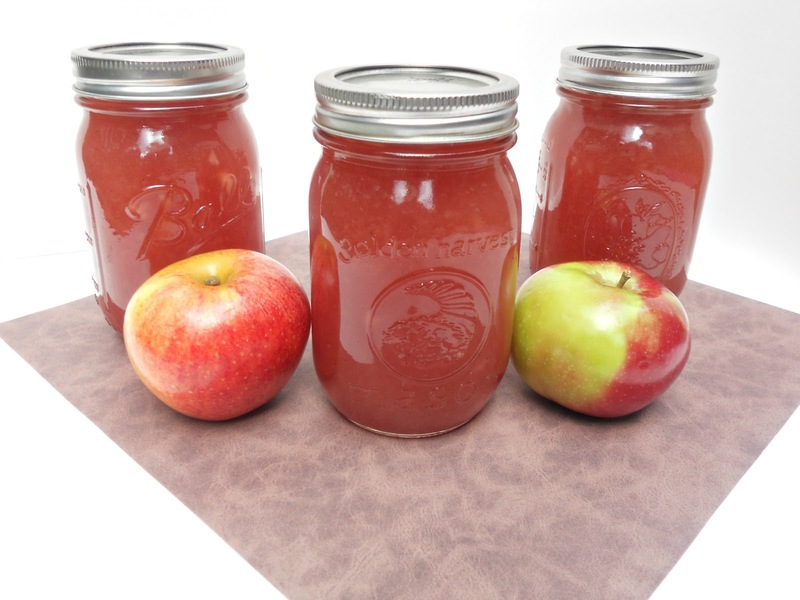 We make apple butter every year, we may have to try it with cranberries this year! if you want to get these amazing and funny gifs animated images, then what are you waiting for. 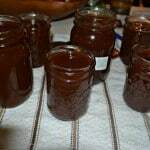 What beautiful apple butter, Heather! I think the cranberries were the perfect addition for color and flavor.